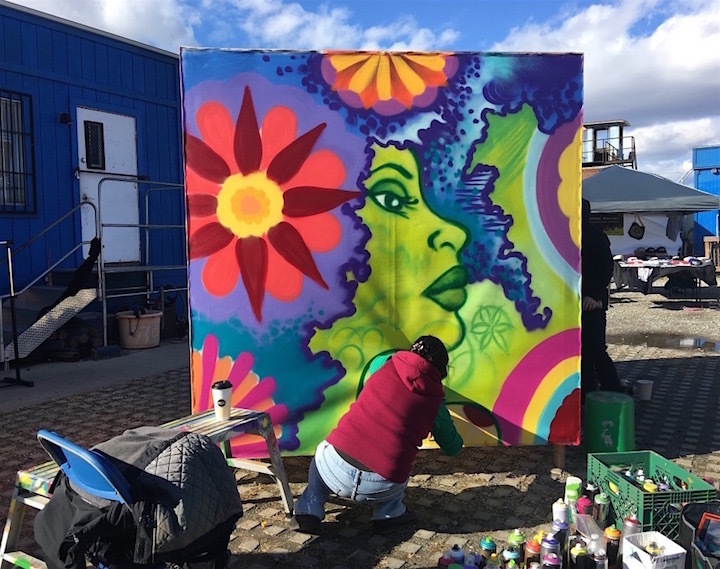 This past Saturday, The Point’s Riverside Campus for Arts and the Environment in the South Bronx was the site of the Ngozy Art Collective‘s second live painting event. 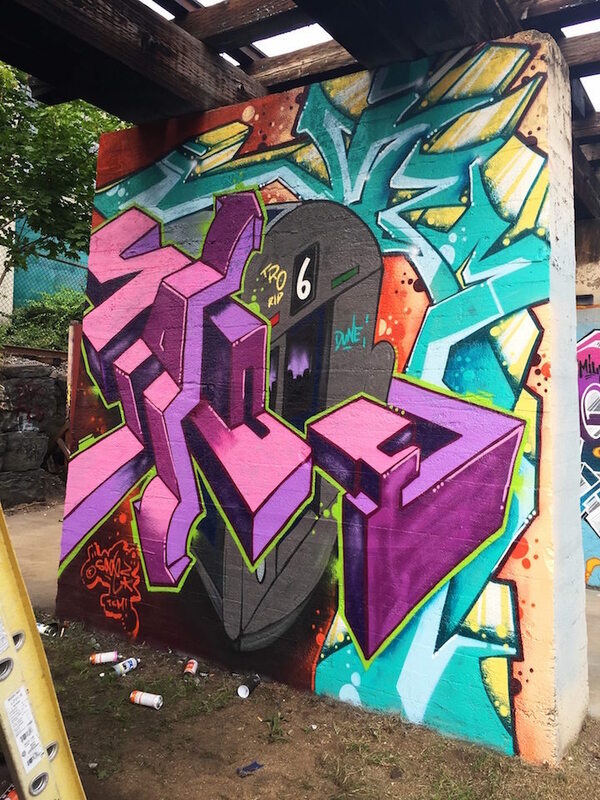 Curated by Sade TCM, the joyous afternoon featured over a dozen female graffiti writers and muralists painting away. 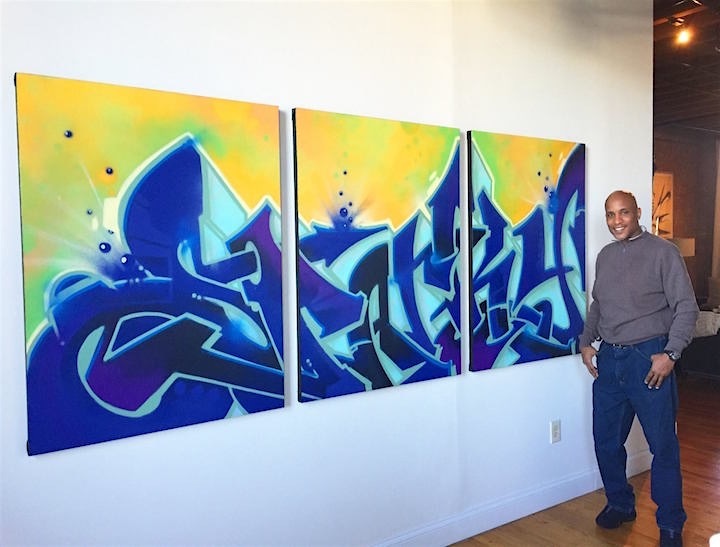 A master of style and ingenuity, the wonderfully talented and resourceful Sade TCM has been making his mark in the writing culture and beyond for over three decades. Recently, we had the opportunity to visit and interview the Mount Vernon-based modern legend. I was in 7th grade when I hit the doors of Clark Junior High School in the South Bronx. I was hanging out in school with Rush M.P.C. who was tagging at the time with fat black markers. He suggested I try it. I did! What inspired you to keep at it? Graffiti was all around me. On ceilings. In hallways. Daze and Crash were doing gates that I passed every day while walking around my neighborhood. And what about trains? When did you first hit the trains? I was in 10th grade. It was the winter of 1982. 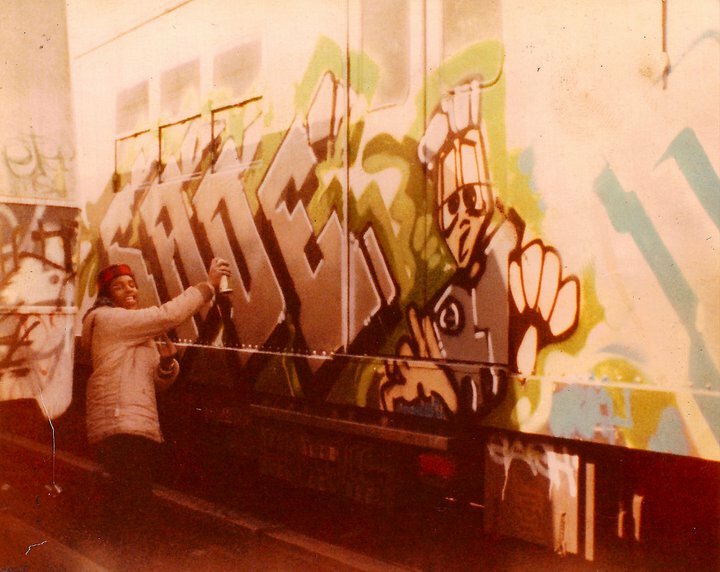 Have you any early graffiti-related memories that stand out? There are many, but the one that stands out is the day I arrived. The previous evening, I was over at the Esplanade lay-up in the Bronx at the Morris Park/Esplanade stop. I had written SADEISM across three quarters of a blue and silver car — a beige interior, cherry red outline, sky blue flame cloud with a regal blue outline and white highlights. The next day — as I was sitting on the Writers Bench at 149th Street and the Grand Concourse, along with Dez, G-man PGA, Sob and Cose — the train rolled by and and stopped directly in front of us. What a thrill that was! I knew then that I had arrived! Did you generally hit the trains alone? I was often with my partner, Dune. What was the riskiest thing you had done back in the day? And why were you willing to take those risks? Running around in subways tunnels with live third rails and riding on tops of trains when they’re moving –- train surfing — were all risky. Why did I take those risks? Youthful ignorance of consequences. They mostly didn’t know about it. But my mother definitely didn’t like it. She thought it was stupid, and she warned me that if I got arrested, she wouldn’t be coming to pick me up. 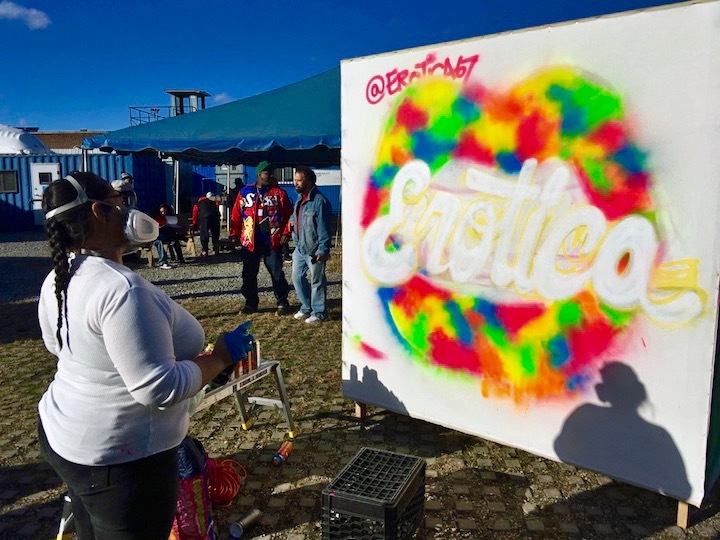 Would you rather paint legally or illegally? Back then, it was all illegal. But these days I’d rather paint legally. I like the leisure of legal. You are a master of styles — over 1,000, in fact!. Is there anyone in particular with whom you’d like to paint with or battle? Yes! I’d like to paint with Baby 168. And I’d like to battle Skeme, because he called me a toy! 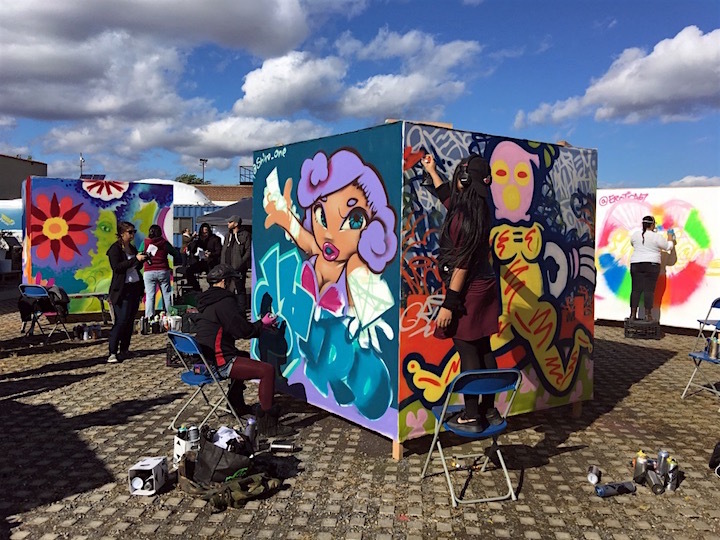 How do you feel about the movement of street art and graffiti into galleries? Have you shown in galleries? It’s a natural evolution. It legitimizes the value of the art. I’ve shown at Wall Works, at More Points and at the galleries of Westchester Community College and SUNY/Purchase University. What is the main source of your income? It has always been related to art. 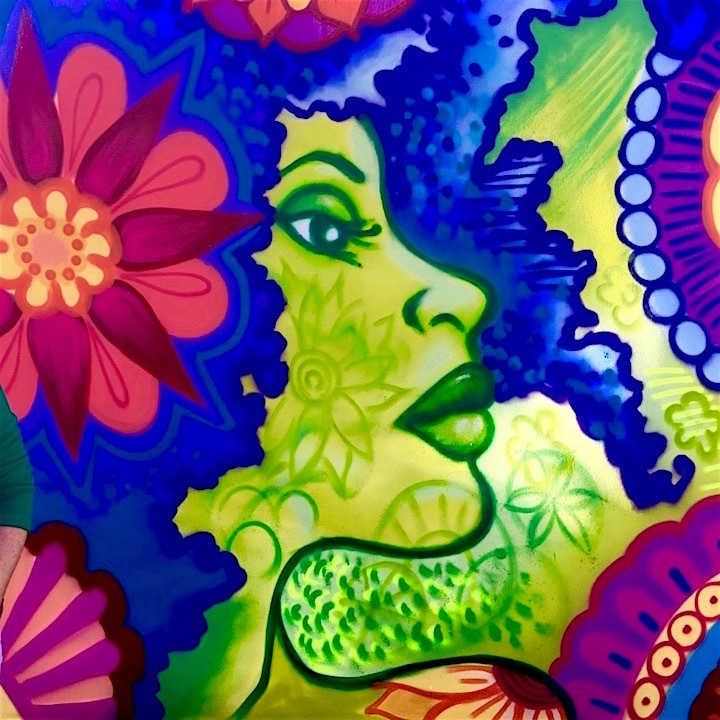 After I graduated from high school, I started my own business painting murals. But then after I was involved in a serious accident in 2000, I switched to graphic design. Have you a formal art education? I earned an associates degree in visual arts from Westchester Community College and a BFA from SUNY/Purchase University. But when it came to graffiti, my primary educators were those writers I admired. I’d watch their work on lines as I was coming up. Was your formal education worthwhile? Carla Rae Johnson challenged me to use a pencil when I was a student at Westchester Community College. And at Purchase, I learned the most from my anthropology teacher regarding understanding cultures. A formal education did open my mind to broader possibilities. Do you work with a sketch-in-hand? Or do you just let it flow? 95% of the time I work from a sketch. Am I satisfied with it? Yes! Am I happy with it? No! My living room and my courtyard, here in Mount Vernon. What inspires you these days? I’m a visual junkie. Sometimes sculpture. It could be anything! I draw every single day, and I always attempt to do something I haven’t done before. How has your art evolved through the years? It’s evolved in both subject matter and technique. 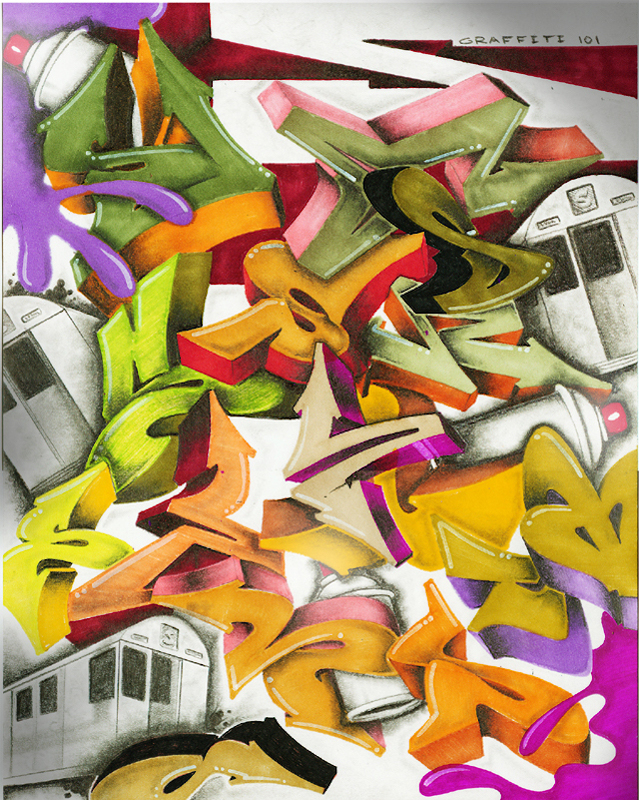 I now draw beyond graffiti letters, and draw with pencils, crayons, and charcoal brushes. Edgar Degas, I like the way he captured light…Roy Lichtenstein and Frank Frazetta. 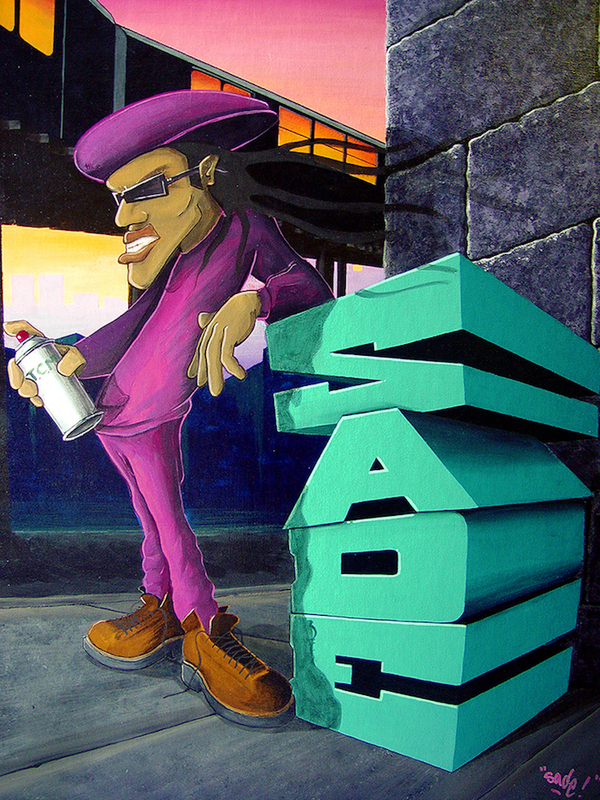 Among graffiti writers: Crash, Daze, Baby 168, Dondi, Tac, Spade, Dez, Part and Kel. Writing and cooking. I used to be into motorcycle drag racing. I feel that the divide exists because of titles. 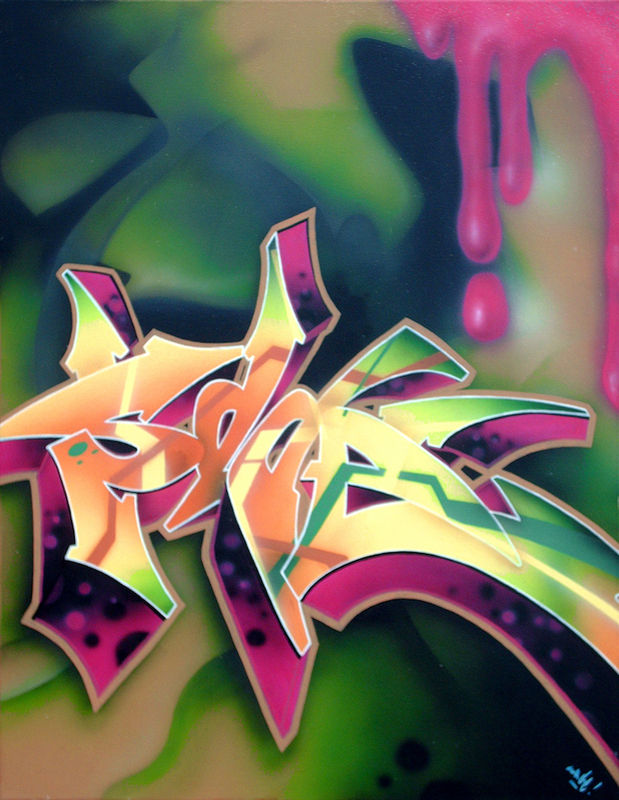 Graffiti writers and street artists can inspire one another. An evolution took place. 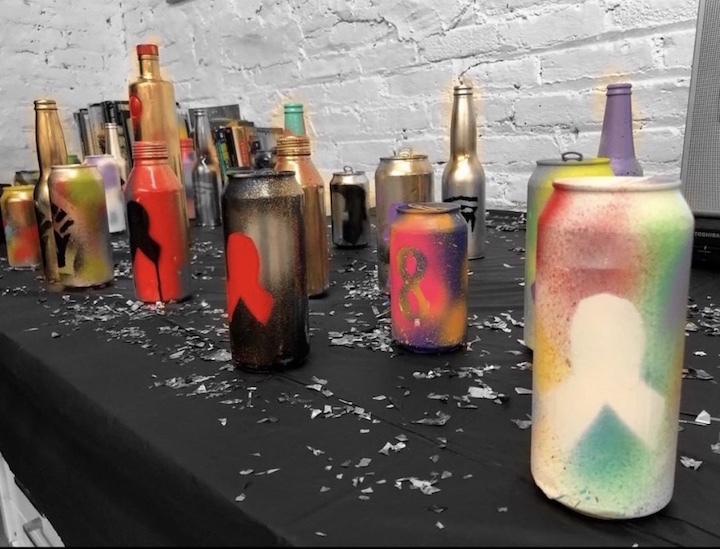 Many of the early street artists like Keith Haring, Hektad, A. Charles and Richard Hambleton bombed the streets in the spirit of graffiti. 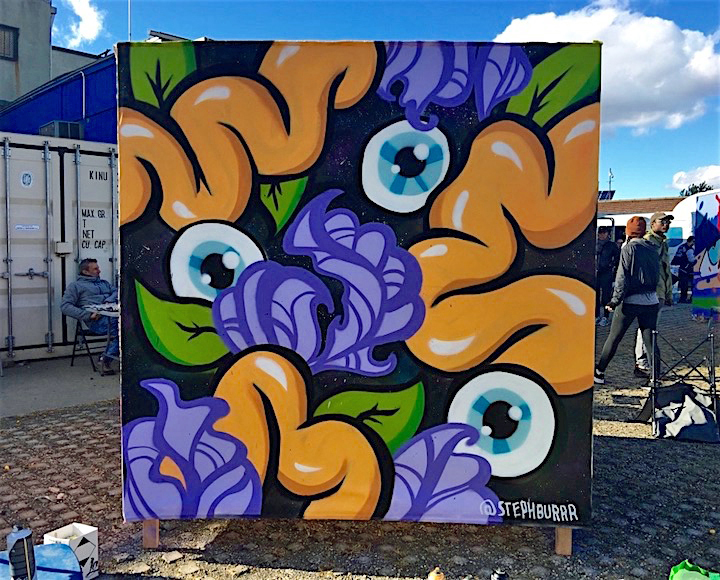 Problems arise when street artists scoff at graffiti. Graffiti has not yet gotten the legitimacy it deserves. What about the role of social media in all of this? How do you feel about that? It’s a double-edged sword. It’s great for gaining more documentation, knowledge and exposure. But as the evolution of styles continues to grow at an alarming rate, the Internet has also ushered in an age of mediocrity. What do you see as the role of the artist in society? A documentarian of the imagination, and the imagination is unlimited. 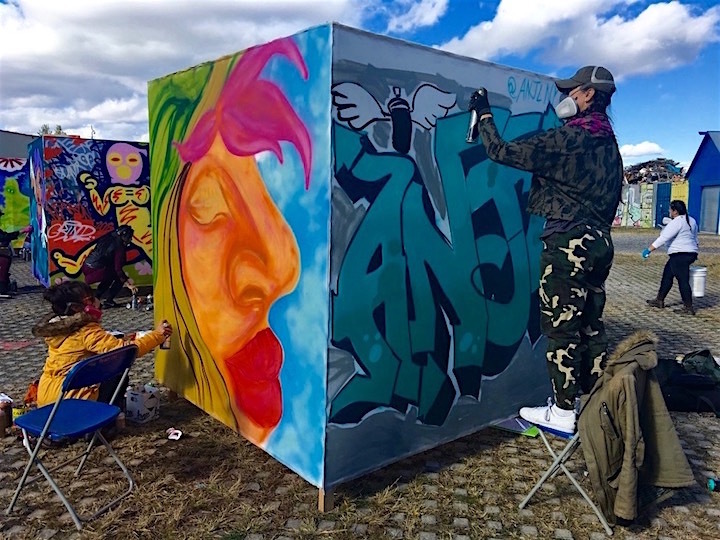 You recently curated an amazing event in the South Bronx celebrating the launch of the art collective, Ngozy. You were its principal founder. What prompted you to launch it? Among its many missions is to reach and educate the broad community about our culture. We aim to facilitate the artists’ ability to sell and promote their art, as we make the art experience financially accessible to a wide public. How can folks find out what artworks are available through Ngozy? They can visit our site or download our free app for iOS or Android. And what about artists? How can they become involved? Anyone can register, set up an account, and submit work on the site or on the app. Blog posts and notices of events are also welcome! I’ve recently registered, and it looks wonderful! 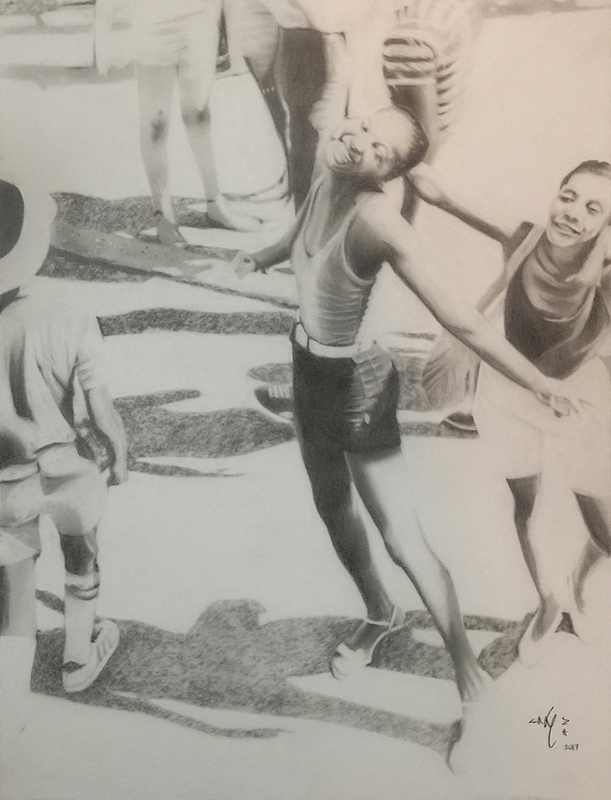 I was delighted to discover the works of some of my favorite artists on the Ngozy site. What are some of the challenges you face in promoting the Ngozy collective? The legitimacy of our art form remains a challenge. We need to shift the understanding of our culture on all levels. Getting exposure is essential, so that we can introduce Ngozy to new people. And we need sponsorship to accomplish our goals. We are working on an all female live-painting event for October 27th, and we are currently seeking sponsorship. 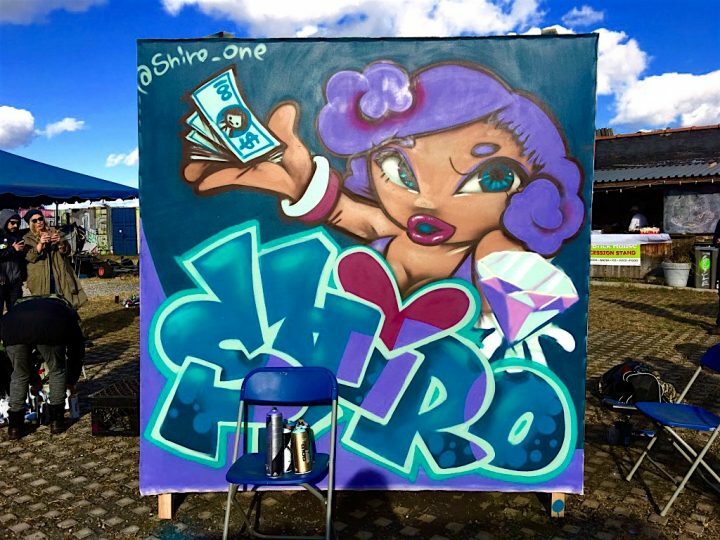 Among the many artists scheduled to participate are: Lady Pink, Shiro, Erotica and Steph Burr. Specific details and information will soon follow. Note: Sade can be contacted at gfantauzzi22@gmail.com. Interview conducted by Lois Stavsky with Tara Murray and edited by Lois Stavsky; all photos courtesy of Sade.